Home » MakeBadger's templates shop » Hola, mi nombre es – Name Tag. ONT-03. 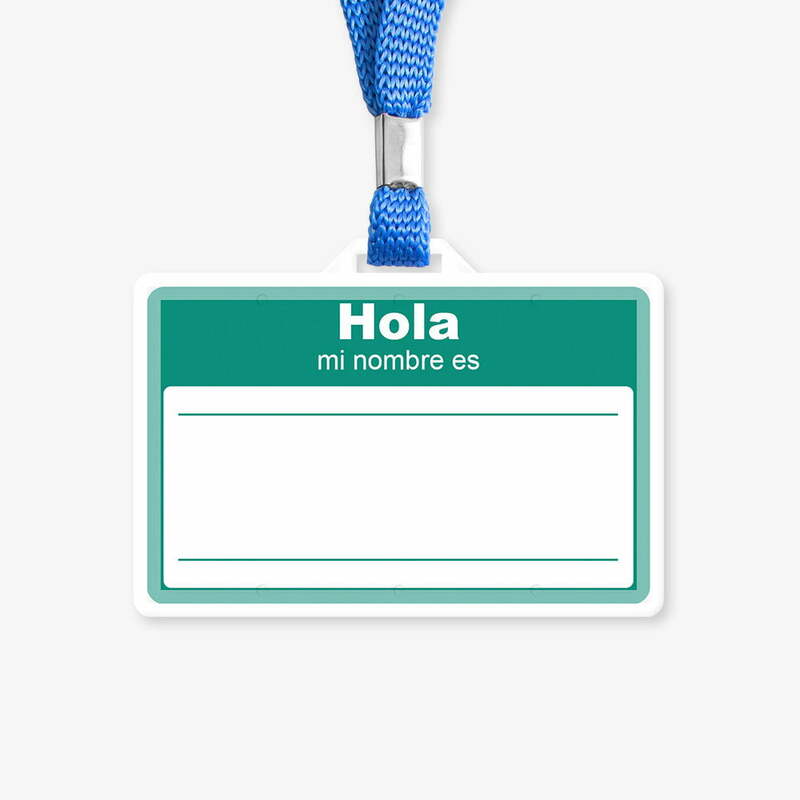 Here is the nice free online “Hola, mi nombre es ___” name tag template. Name tags are a great way for customers and consumers to start up conversations with employees or volunteers. Name badges let the customer know exactly who there are working with from the first moment they meet your employee.